You're not chasing the goal, you're chasing the feeling. The feeling you think and hope you will have when you achieve the goal. In your relationships, career, body? In this workshop we will walk through the process of practically (and soulfully) creating a life that you actually want to live. Uncover the feelings you want so you can start building a life that helps you generate them. Life should feel good. Right now. Step into a deeper connection with yourself and bring more joy into your life. 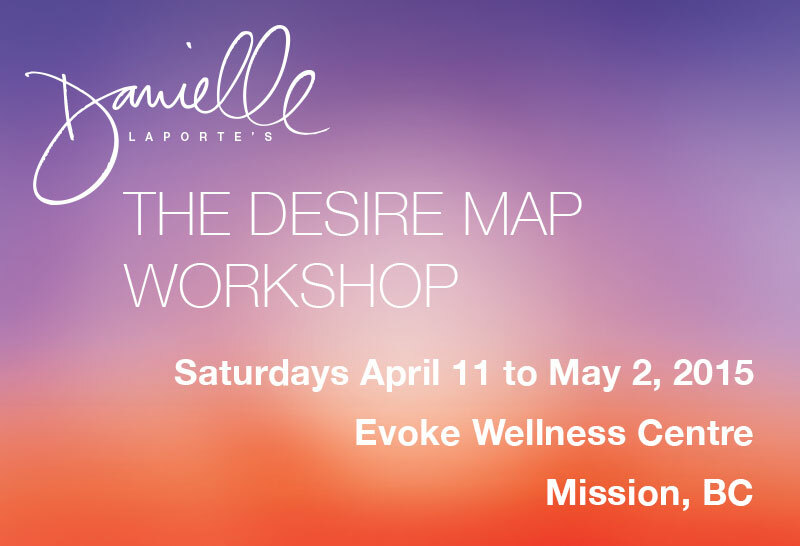 Michelle Royle is a licensed facilitator of Danielle Laporte's The Desire Map Workshop. Join her for an upcoming workshop near you. WANT TO HOST YOUR OWN WORKSHOPS AND CHANGE THE LIVES OF PEOPLE AROUND YOU? Please feel free to call or email me to find out more information. You're not chasing the goal, you're chasing the feeling. The feeling you think and hope you will have when you achieve the goal. In this workshop we will walk through the process of practically (and soulfully) creating a life that you actually want to live. Uncover the feelings you want so you can start building a life that helps you generate them. This is the event that will change your life. "Meeting Michelle changed my life. As a coach, she hears you and reframes things so that you can hear yourself. She asks the good questions and offers a fresh perspective. She is authentic and present. Michelle keeps me feeling centred and moving forward with momentum. Do you want to reach your full potential? You need this girl in your corner." FEES: $500 + GST/person Includes The Desire Map Workbook & light refreshments. (2) Payment Plan: $150 upon registration, $150 due March 13, final payment of $225 due April 3. REGISTER: To Register, click the BUY NOW button below, or email michelle@evokeleadership.ca, or call 778.551.2045. (2) Payment Plan: $150 upon registration, $150 due April 10, final payment of $225 due May 1st. (2) Payment Plan: $150 upon registration, $150 due May 1, final payment of $225 due May 15.